Sergio Pettis had a daunting task in front of him on the day he arrived in the UFC. When he joined the roster with a perfect 9-0 record, Pettis was a top notch prospect but sharing the last name as the lightweight champion at the time — his older brother Anthony Pettis — put a spotlight on him few receive when first arriving in the UFC. Rather than having the chance to grow and develop, Pettis had a huge target on his back from day one and he suffered more than a few setbacks through the early part of his UFC career. Putting together a 3-2 record through his first five fights was respectable but nowhere near what Pettis had envisioned for himself when he signed with the promotion. As it turns out, those losses snapped Pettis back into reality where he realized he wasn’t going to get by on raw talent and a famous family name. It was going to take a lot of hard work and dedication in the gym and Pettis readily admits he didn’t have that when first bursting onto the scene in the UFC. “I came in with a lot of hype, obviously being the younger brother of Anthony Pettis, that put me in that element. Everything happened for a reason. Those fights that I lost, they changed my way of thinking,” Pettis explained when speaking to MMAWeekly.com. “At the age that I was, I didn’t want the responsibility of being a champion. I didn’t want the responsibility of being a top-level athlete. I wasn’t ready maturity wise. 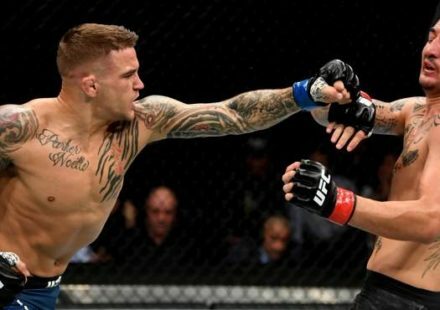 While losses can often time serve as the ultimate deterrent to an athlete, Pettis found a new passion for the sport after getting knocked down a few times in the early part of his UFC career. 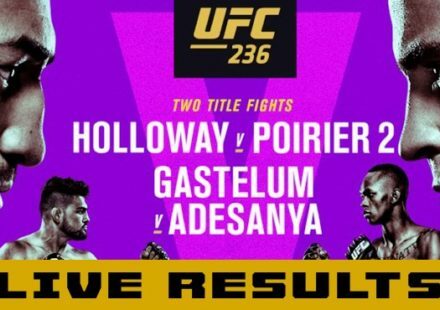 The result has been three wins in a row with two of those victories coming against former title contenders in the 125-pound division. “You’ve got to go through failures to become successful,” Pettis said. “No one’s just completely successful. You’ve got to taste defeat to either take the route to get better or just stay the same. After those defeats, I felt like it taught me how much I love the sport and how much I’m truly better than that. I’m better than getting finished and getting submitted. To take the next step towards his ultimate goal of getting a title shot, Pettis has to get through fellow young gun Brandon Moreno, who has quickly risen up the ranks after three wins in a row following a short stint on season 24 of “The Ultimate Fighter”. Pettis likes what he’s seen out of Moreno thus far but he promises that the 23-year old Mexican native is about to face a whole new level of competition on Saturday night. “Brandon is going to come out here and fight me. He’s a young, hungry athlete. I’m a young, hungry athlete and on Aug. 5 we’re going to show you guys who really wants it,” Pettis said. “He’s got a big name himself, he’s building up his own base. 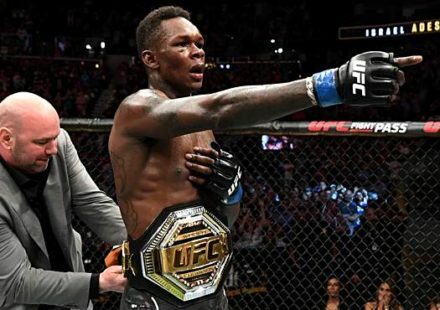 He came into the UFC on a three-fight win streak I believe and the kid’s got talent. While the UFC hasn’t emphatically stated that the winner of this fight will be in line for a shot at the gold, Pettis believes the writing is on the wall considering the status he shares with Moreno while this bout is the main event for the card this weekend. Pettis has his sights set on ending Demetrious Johnson’s historic title reign where he’s not only been the only flyweight champion in UFC history but he’s one win away from 11 total defenses, which would set a UFC record. Johnson’s next fight is already set when he’ll face Ray Borg in the main event at UFC 215 in Canada and in an odd way Pettis is actually rooting for the flyweight champion to hold onto his belt. The way Pettis sees it, he wants to be the one to finally dethrone Johnson but he believes the title will stay in tact until he earns the opportunity to challenge for the belt. 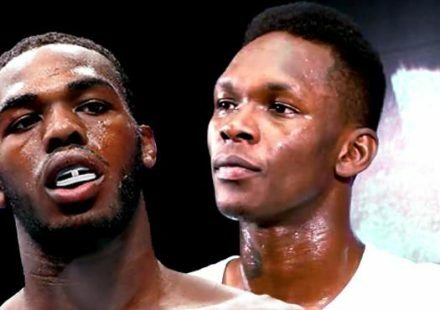 “No disrespect to Ray Borg but I don’t think he’s going to be the one that’s going to beat D.J. He brings the same style fight that the other fighters brought to D.J.,” Pettis said. “They got scared of “Mighty Mouse”. Personally, I think I have the style to make D.J. question his abilities and push the pace and not let him take it where he wants it. I’ll take it where I want it to go.